Rajasthan is the jewel in India’s crown. 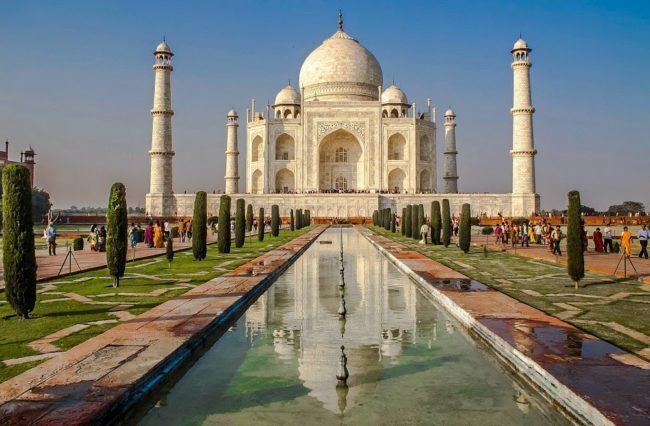 From fairy-tale palaces and epic forts to colorful festivals and wildlife encounters, this is India at its vibrant best. Located in the arid west of India and home to major historical sites and ancient wonders. The famous Golden Triangle is a traveler’s journey through Indian icons in Rajasthan’s capital, Jaipur. Kick off at the daunting mega metropolis of Delhi, with its majestic Mughal heritage, head to Agra where the Taj Mahal, defines the city. The triangle is completed at Jaipur – a city painted pink with some of the most colorful bazaars in India. Moreover, Jaipur is the gateway to Rajasthan, and once you’ve slept in a palace, entered a medieval fort or swayed on a camel, you’ll want to experience more. In Rajasthan, it’s the forts and palaces that grab your attention. 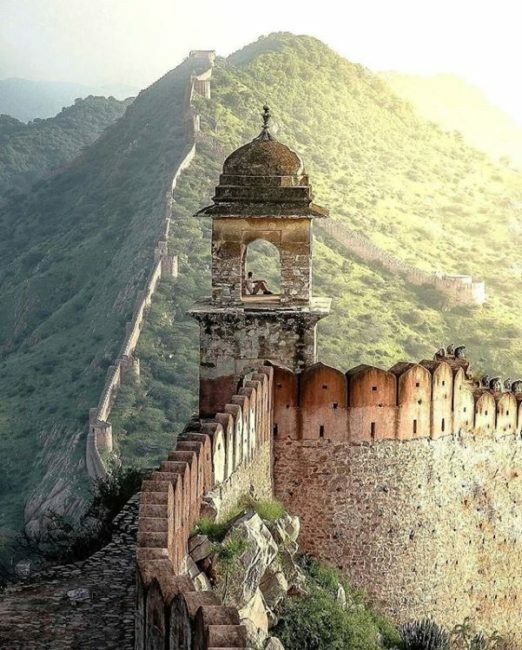 Massive forts emerge from mountain tops, their battle-scarred ramparts still defying long-dead enemies. Spiked doors that once held war elephants at bay open onto the twisting approaches to the palaces within. Austere and practical gives way to fantasy and opulence once safely inside. Carved marble and stone, fountains and colored glass decorate the halls of business and rooms of pleasure. Across Rajasthan there are numerous forgotten forts and lovingly restored palaces, including Jaisalmer’s fairy-tale desert outpost, Amber’s honey-hued fort-palace and Jodhpur’s imposing Mehrangarh to name just a few. Rajasthan is literally the Land of the Kings. It is home to the chivalrous Rajputs, and its battle-scarred heritage has bestowed legacies of pride and tradition. The upper echelons of this medieval society built magnificent palaces and forts, many of which are now glorious hotels and museums. In addition, stunning handcrafts and fine arts were developed and nurtured through patronage by the maharajas. Village life remains steeped in tradition but, just like the rest of India, the pace of change is accelerating. Turbaned men still barter for decorated camels – they just relay the successful deal home via a smart phone. The colors of Rajasthan are impossible to ignore and the effect of emerald green, canary yellow and fire-engine red turbans and saris is simply dazzling. Little wonder so many fashion designers find their inspiration and raw materials in this state. The lucky visitor might even see a flash of orange while tiger-spotting in Ranthambhore National Park. 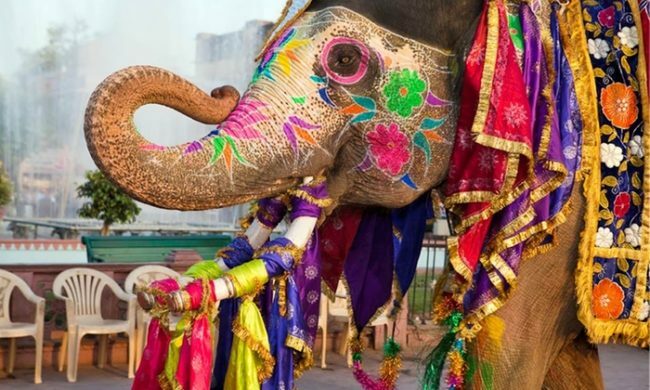 Easier to collect on a camera are the bright hues of Rajasthan’s many festivals: from garishly decorated mounts at the camel and elephant festivals in Pushkar and Jaipur, respectively, to the rainbow explosions of Diwali and Holi, celebrated across the region. 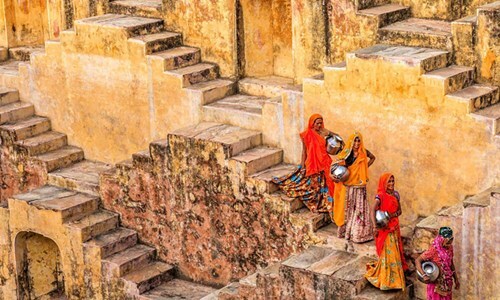 Perfect for the adventurous souls, but also the cultural explorers, Rajasthan is a unique place offering an experience that takes travelers into the realms of the nation’s vibrant history through its festivals, temples, and nature.